Can Wolves realistically challenge for a playoff position next season? In the saddest of circumstances came a brief reminder of a time when the mood was distinctly upbeat. The mourning of Graham Taylor’s death has taken place at football grounds up and down the country, he was that popular a figure in the game. But it was at his former clubs, principally Watford, Wolves and Aston Villa, where his passing was most keenly felt. Taylor spent just the one full season at Wolves, in 1994/95, in the immediate aftermath of his sacking as England boss, but had the fans on his side from the get-go because of the entertaining brand of football on show. Wolves fans were treated to a rollercoaster ride as a star laden side boasting the likes of England internationals, Steve Bull and Tony Daley, adopted a carefree, ‘we’ll score five if you score four’ attitude. With a recently redeveloped Molineux looking resplendent and packed to the rafters most weeks, Wolves were on the crest of a wave and in contention for the title until a demoralising run of seven defeats in the last nine games left them six points adrift of champions Middlesbrough. Play-off agony followed against Bolton, and Taylor was gone by Christmas the following season. 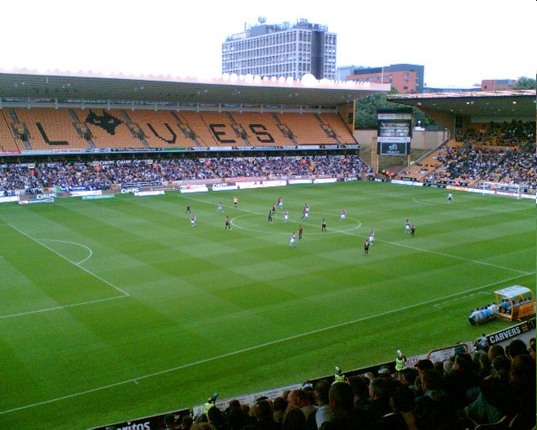 But if you ask most Wolves fans, promotion to the Premier League aside, it was perhaps one of the most enjoyable seasons, purely from a football point of view, in the past two decades. This season started out in the right vein, a six-game unbeaten run getting the fans to believe that this could be their year. However, results fell away badly and the side was looking down not up at the turn of the year. Considering what had come before, 2017 could not have started much better. If a 0-0 draw at promotion hopefuls Sheffield Wednesday was a creditable result, beating Premier League Stoke 2-0 away in the F.A. Cup was outstanding. Then Paul Lambert got the win he probably cherishes more than most given the treatment he received at Wolves’ near-neighbours: a 1-0 win against former club Aston Villa. That said, promotion of course will still be at the forefront of most fan’s minds, but given Wolves’ aforementioned run of losses, it clearly won’t be this season – indeed, with odds of 50/1 currently, even the most tempting free bet offers available are unlikely to be snatched up by punters! Time however, as it is said, is a healer, and realistically Wolves will be in a better position a year from now, particularly with any injection of new players to replace Oniangue and Ola John, such as Andreas Weimann. Now it’s all about keeping the momentum going forward, no easy task considering the next three games are away – at Norwich, Barnsley and Burton. No-one’s under any illusions though about the play-offs being a realistic goal, 13 points is a big gap to make up as the halfway point of the season approaches. For now, Wolves fans would be content to see youngsters like 16-year-old Morgan Gibbs-White continue to develop their game, alongside fellow academy graduates Harry Burgoyne and Connor Ronan, and for the team to show the same spirit that was evident in the derby win over Villa. If Lambert decides he needs to strengthen his squad, up front is the area that needs most obvious attention. It is scandalous to think that Joe Mason’s 15th -minute matchwinner was Wolves’ first goal by an out-and-out striker since August. Blackburn’s Ben Marshall may not be the answer to all their problems but given his versatility – he can play out wide or in the number 10 role – it may be £1.3million well spent.